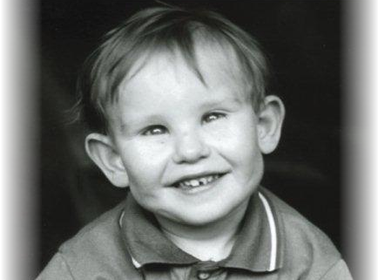 The Lowe Syndrome Trust was founded in June 2000 as the only UK charity for the disease, raising funds to support vital research into this devastating disease which affects the Brain, Eyes, Kidneys, Bones and Muscles. Sadly leading to a short life expectancy. The charity is extremely small and voluntary, organised by the founder whose son was diagnosed with the disease at the age of 5. The charity has a voluntary Scientific Advisory Board of eminent Professors of Medicine who advise on all aspects of research and review all research proposals. The charity also supports families by way of medical booklet and advice and guidance. I am writing to you as Chairman of the Lowe Syndrome Trust’s Scientific Advisory Board (SAB). I wanted to highlight the work and success of this small charity founded by Lorraine Thomas in June 2000. The research funded to date has been of high scientific quality and impact, and has brought together many researchers from different fields that would probably not have collaborated on studies of this rare disease without the catalyst and support of the Lowe Trust. I think it is true to say that the Trust has put Lowe research ‘on the map’ and attracted serious science and scientists to try to understand what is often a complex and devastating disease for those affected and their families. What is sometimes not always appreciated outside of medical science and research is that research into one disease, especially a rare (sometimes) inherited disease, can often reveal important insights into other diseases, and this has been particularly true of Lowe syndrome research. A ‘cure’ is still the ultimate objective, but many benefits have accrued from the research that has been funded up to now, not least in establishing a community of researchers working together and collaborating closely. The biennial scientific meetings (research symposia) organised by the Trust have also been a great success and provided an opportunity to bring together basic scientists and medical doctors who look after patients, and for the research funded by the Trust to be presented, and for new areas of research to be identified and discussed. Advances are being made such that treatments to improve the lives of those affected by Lowe syndrome can and will be developed. The Trust has funded many projects in the UK, Italy and in the US. As an example of one of the many Lowe Trust projects underway is one at Manchester University in the laboratory of Professor Martin Lowe, who has made a number of important discoveries as a result of grants received from the LST. A significant breakthrough has been the generation of a small zebrafish model of Lowe syndrome. This model exhibits many of the features seen in patients with the disease, particularly affecting the kidneys and brain, and has shed light on what may be key mechanisms disturbing kidney and brain cell function. Moreover, this model can potentially be used to screen for new drug treatments that can correct these abnormalities. Martin and his team have made this zebrafish model of Lowe syndrome widely available to other researchers, for example, the research group of Dr Scott Baraban at the University of California San Francisco who works on epilepsy, and Dr Yang Sun at the Indian University School of Medicine, who works on eye disorders, including cataract and glaucoma. The model is freely available from Martin Lowe for research. From this brief update on what the Trust has funded so far, I hope you can appreciate the importance of what has been achieved. Other projects funded by the Trust have been at Imperial College London, University College London, Moorfield’s Eye Hospital, Dundee University, The Royal Free Hospital, Cambridge University, Great Ormond Street Children’s hospital, University College London, National Institute of Health (USA), University of California (USA), Yale University (USA), Purdue University (USA) and University of Napoli. Annual Reports & Accounts | © The Lowe Syndrome Trust. All rights reserved.